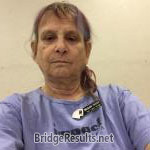 Michael Hedreen and Maryjane Hedreen scored 0.48 masterpoints with a 53.37% game at Sun Lakes Duplicate Bridge Club. See full results of this game. Ole Nordhild and Jim Smith scored 0.36 masterpoints with a 51.24% game at ACBL Unit 359 - Boulder Bridge. See full results of this game. Lindsay Cantoni and Ron Stanek scored 0.19 masterpoints with a 50.71% game at Sun Lakes Duplicate Bridge Club. See full results of this game.